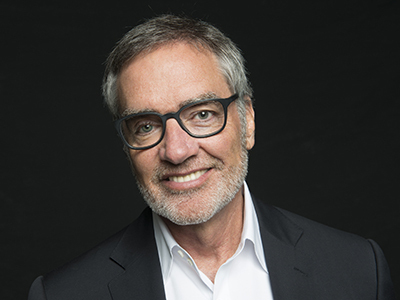 iHeartMedia executives Bob Pittman and John Sykes ’77 will visit the Newhouse School Thursday, Nov. 16, as guests of the Soyars Leadership Lecture Series. They will participate in a Q&A with Bill Werde, director of Newhouse’s Bandier Program, at 6:30 p.m. in the Joyce Hergenhan Auditorium, Newhouse 3. Pittman is chairman and CEO of iHeartMedia. He is the co-founder and programmer who led the team that created MTV, and has been CEO of MTV Networks, AOL Networks, Six Flags Theme Parks, Quantum Media, Century 21 Real Estate and Time Warner Enterprises. He was also COO of America Online Inc. and later of AOL Time Warner. He is a founding member of Pilot Group LLC, a New York private investment firm, and is a dedicated philanthropist. He was formerly chairman of New York’s Public Theater and of the Robin Hood Foundation, where he is still on the board. He is also on the boards of the Rock and Roll Hall of Fame and Lupus Research Alliance. Pittman’s history in radio began at age 15, when he worked as an on-air announcer in his native Mississippi. He went on to successfully program a number of radio stations, including WNBC in New York. His recognitions include being inducted into the Advertising Hall of Fame and the Broadcasting and Cable Hall of Fame; receiving Adweek’s first “Media Visionary” award; and being named one of Advertising Age’s “50 Pioneers and Visionaries of TV” and “10 Marketers Who Changed American Culture.” He was also named Radio Ink Magazine’s “Most Powerful Person in Radio” for six years in a row; was recognized as one of Life magazine’s “Five Original Thinkers of the ’80s”; and was No. 8 on Life’s “50 Most Influential Boomers” list. 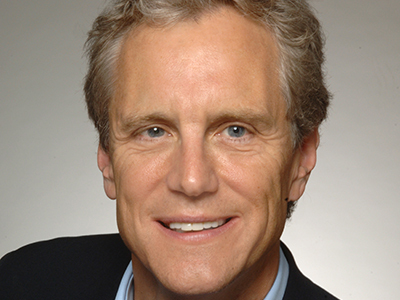 He is the recipient of the Broadcasters Foundation of America’s “Golden Mike Award”; the International Radio and Television Society’s Gold Medal Award; the Robert F. Kennedy Ripple of Hope Award; the Bank Street College of Education’s President’s Award; the White House Conference on Small Business Award for Entrepreneurial Excellence; and the Council of Fashion Designers of America Award. Sykes is president of iHeartMedia Entertainment Enterprises, where he oversees partnerships across a broad range of media, including television, digital video and live events, as well as the creation and distribution of iHeartRadio-branded television and video content. iHeartMedia now has seven annual nationally televised network music specials, including the iHeartRadio Music Awards on Turner Broadcasting, the iHeartRadio Music Festival and iHeartRadio Jingle Ball on The CW Network. Sykes co-executive produces iHeartMedia’s national “tentpole” events, including the iHeartRadio Music Festival and the iHeartRadio Music Awards. He also co-executive produced “12-12-12: The Concert for Sandy Relief” and the historic 9/11 benefit “Concert for New York City,” both worldwide televised events. Sykes, who is a Newhouse alumnus, was a core member of the team that created MTV in 1981 and VH1 in1984. He then spent 20 years at Viacom in various senior roles, including president of VH1, president of network development for MTV Networks and chairman and CEO of Infinity Broadcasting (now CBS Radio). In 2008, Sykes joined Pittman, with whom he had founded MTV, at Pilot Group before being named to his current position in 2011. Sykes serves on the board of directors of Madison Square Garden Networks, The Robin Hood Foundation, Critical Content Television and The Rock and Roll Hall of Fame. Sykes holds a B.S. in television, radio and film from the Newhouse School and an honorary doctorate from the Berklee College of Music. He is a member of the Newhouse Advisory Board. The Soyars Leadership Lecture Series is presented by the Newhouse School’s Bandier Program and the College of Visual and Performing Arts’ Setnor School of Music. For more information, or if you require accommodations, contact Lisa Steele at 315.443.1388 or llsteele@syr.edu.